The Lullaby Earth Crib mattress is manufactured with no questionable chemicals, features critical safety characteristics and offers state-of-the-art breathability design. Parents seeking a new crib mattress may want to seriously consider this option. The Lullaby Earth Crib mattress has a durable reinforced seam as well as strong fabric bindings that provide long-lasting performance. 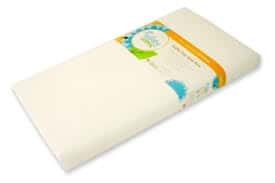 This lightweight crib mattress weighs only seven pounds, comes with a limited lifetime warranty and is made in the United States. With square corners, this mattress is easy to handle for frequent sheet changing. The flat surface, along with strong edge support, gives it a safe and snug fit in the crib. It measures 52 inches long by 27.5 inches wide by 6 inches in height. With its innovative two-in-one design, this mattress has a firm side for infants and a foam-cushioned side for toddlers. 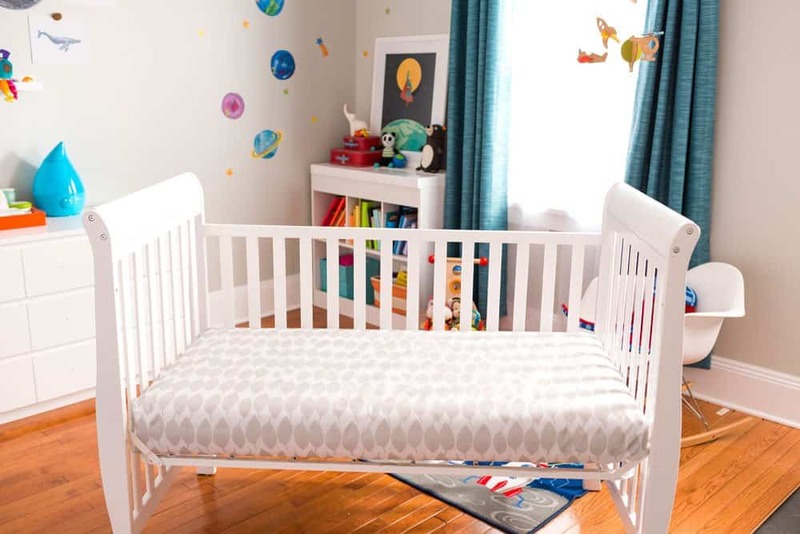 The easy-to-clean vinyl mattress displays white stars and moons on the light blue infant side as well as multi-colored stars and moons on the toddler side. All foams used are CertiPUR-US certified. This means that these foams do not contain PBDE flame retardants, lead, PVC, phthalates, perfluorinated compounds (PFCs), formaldehyde, mercury, and other heavy metals. The Lullaby Earth Crib might be too firm for some babies and toddlers. 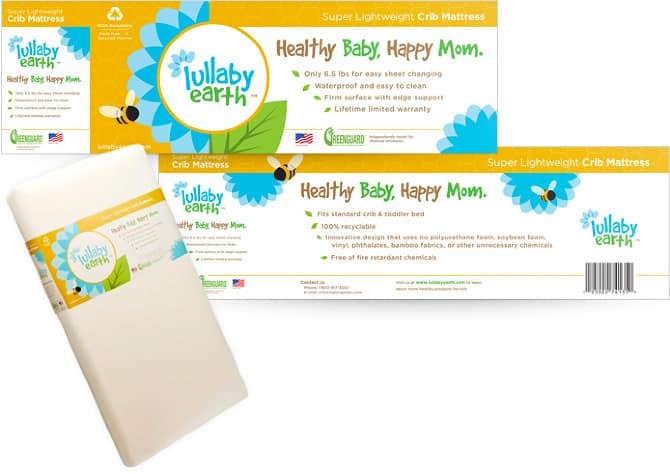 The Lullaby Earth Crib mattress meets or surpasses strict chemical emissions standard as specified by the Greenguard Gold Certified program. It is also tested to meet or surpass regulatory safety standards issued by the United States Product Safety Commission, the Canadian Cribs and Cradles Regulations, and the American Society of Testing Manufacturers. The waterproof vinyl exterior of the mattress meets food contact standards, and the mattress contains no harmful chemicals or allergens. 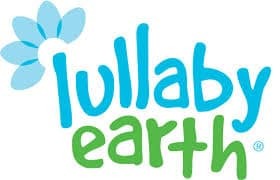 Lullaby Earth crib mattresses were designed by parents, grandparents, and engineers focused on creating the safest baby crib mattress possible. The company was founded based on its top priorities of safety and affordability. In 2014, the company pioneered enhanced breathability when it introduced the Breeze crib mattress. This design retained key safety features while adding a breathable mattress pad that maximizes airflow between the infant and his or her mattress. This feature helps dissipate moisture and heat for more comfortable sleep. 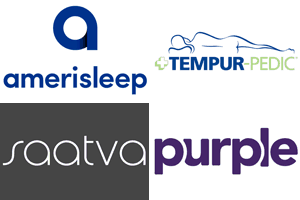 Multiple parent magazines and baby-related web sites have reviewed the best crib mattresses. Check out this parent’s guide or this expectant mother’s guide as a few places to start. The Lullaby Earth crib mattress is the lowest price in its category, making it an affordable choice for new parents.